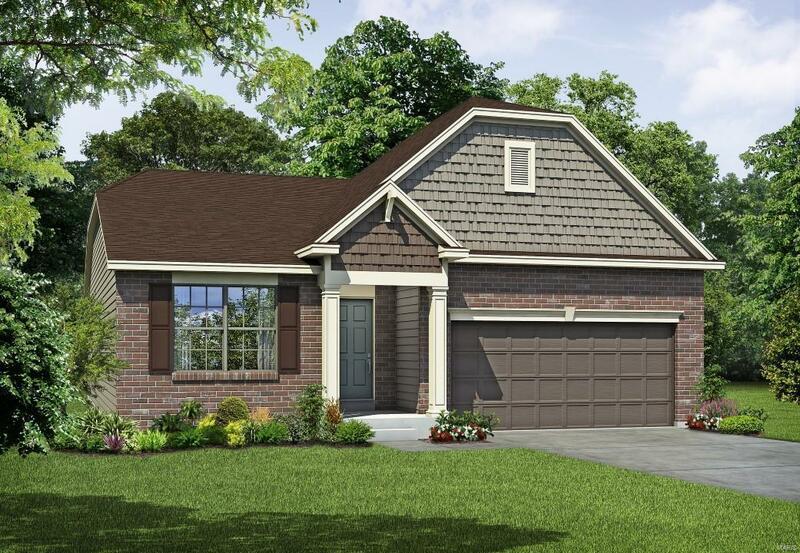 Enjoy a low maintenance, free standing, carefree home by Payne Family Homes in The Crossings at Bella Vista! 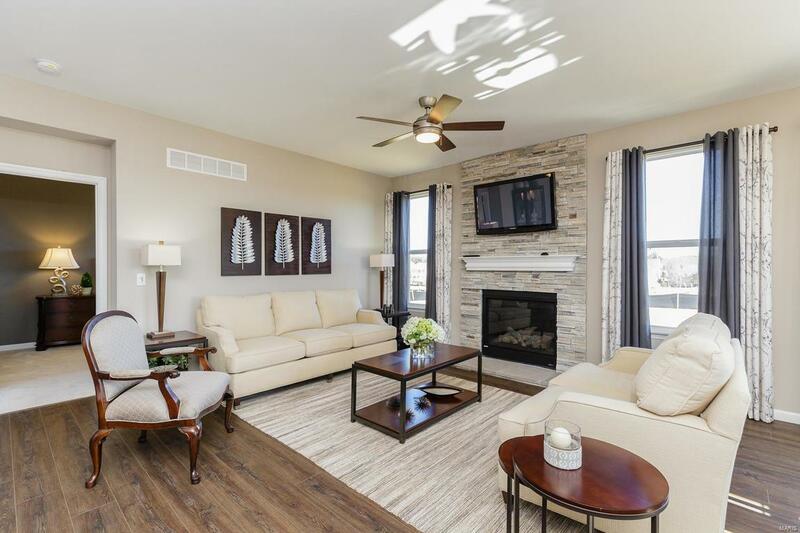 This top selling, 3 BD, 2 BA home has 1,758 s/f of open, smart living space. 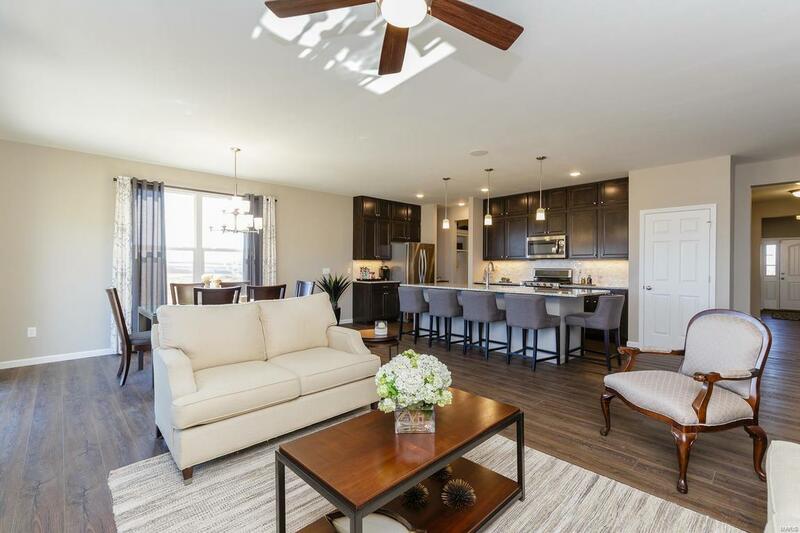 Features inc 9 clngs, a gas FP, open stairs to the lower level, Luxury vinyl plank flooring, 42 cab w/hardware, large island w/pendant lights, Quartz c-tops, st steel appl, gas range, raised height vanities in both baths, a large W/I closet in the Owners Suite, a shower in the Mstr Bath w/a seat, R/I bath in the lower level, Jeld Wen Low E windows, Frigidaire appl & more. The front elev is inviting & low maint w/vinyl siding, shake siding in the gables, coach lights, arch shingles, added width driveway, an upgraded front door, full yard sod & prof landscaping. A low monthly fee covers lawn, landscaping, irrig & snow removal (per indentures). 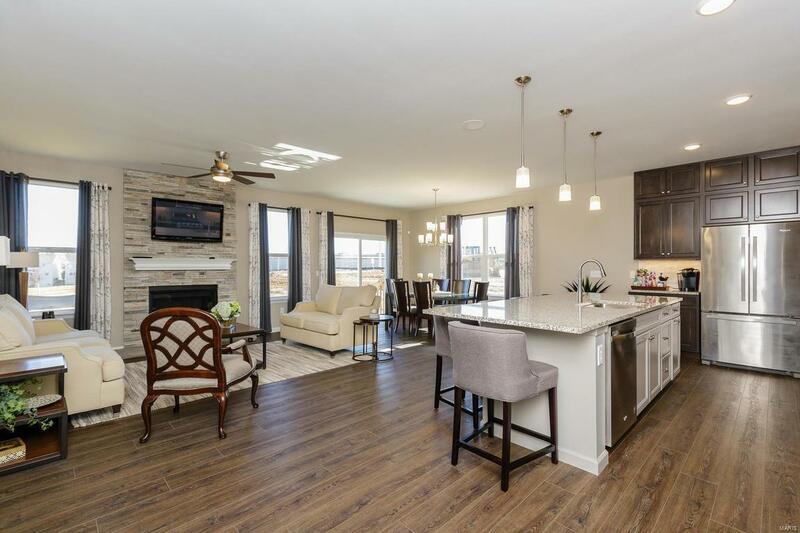 This amazing location offers easy access to Historic Main St, the popular Streets of St. Charles Ent district, the Katy Trail, Creve Coeur & Chesterfield Valley.